For the healthy construction in cities infrastructure services are at least as significant as construction services. One of the latest developments in the field of measurement is laser scanning technique. When compared with other measurement methods, it is possible to obtain 3 Dimensional (3D) point data in a very short time at desired frequency. Therefore, laser scanning method, which was developed during early 2000s, is becoming more widespread in land measurement and relievo studies. Developments in measurement technologies has brought about data processing and presentation. Laser scanning method seems undeniably to be the future measurement method with alternatives such as Terrestrial, Mobile or Air. 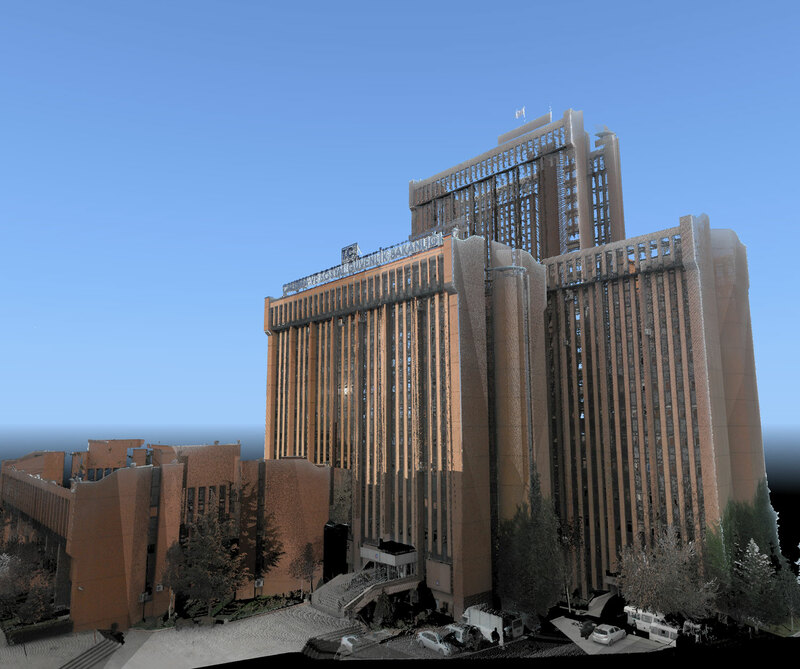 Laser scanning methods are successfully applied by our company. • In restoration, scientific analyses and security of buildings under protection or preparing virtual exhibitions of historical sites where visits are not allowed. Laser scanning utilizes detailed documentation of historical sites and excavation site. Thanks its integrated colored camera 3 Dimensional images can be created at photograph quality. Quality Control: Precise 3D documentation and dimensional screening of complex and huge component such as rotary wings, turbines and ship screw propellers. It is highly appropriate for fast and comprehensive screening and documentation of crime scene and accident site investigations or insurance losses. All the details regarding accident and crime can be recorded. Similarly, laser scans provide 3 dimensional topology knowledge to develop the most appropriate security concepts.